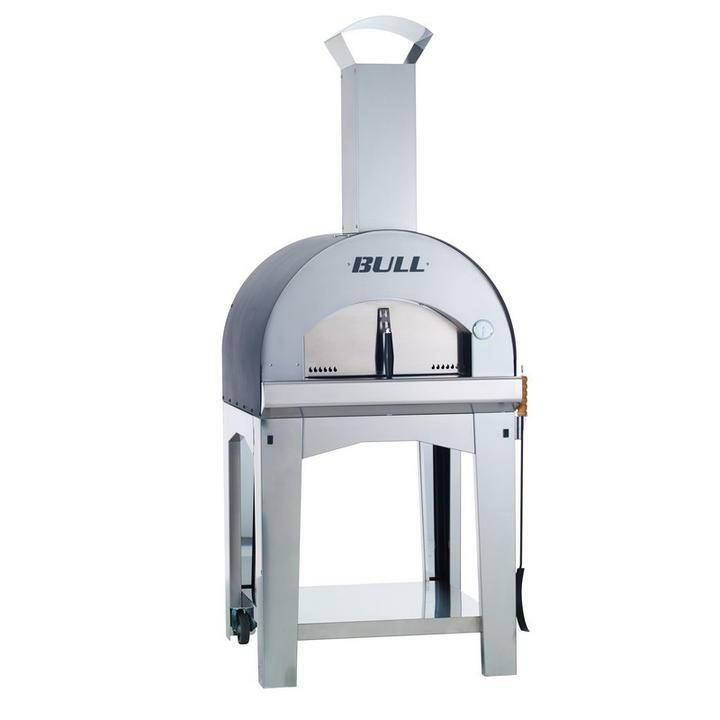 Product Description: Bull 38-Inch Extra Large Outdoor Wood Fired Freestanding Pizza Oven - 66042. Enhance your backyard cooking experience with this Italian made Extra Large Outdoor Wood Fired Pizza Oven On Cart from Bull. A perfect addition to any outdoor kitchen, this oven is created from 441 stainless steel and has a 10 to 15 minute preheat time. Food-grade cooking stones and rock-based insulation ensure intense and even heat across your cooking surface. Ideal for cooking pizzas, breads, desserts and more, this oven is portable and easy to set up. It is recommended that you use 3 to 4-inch thick and 18 to 24-inch long hardwood logs as your fuel source. 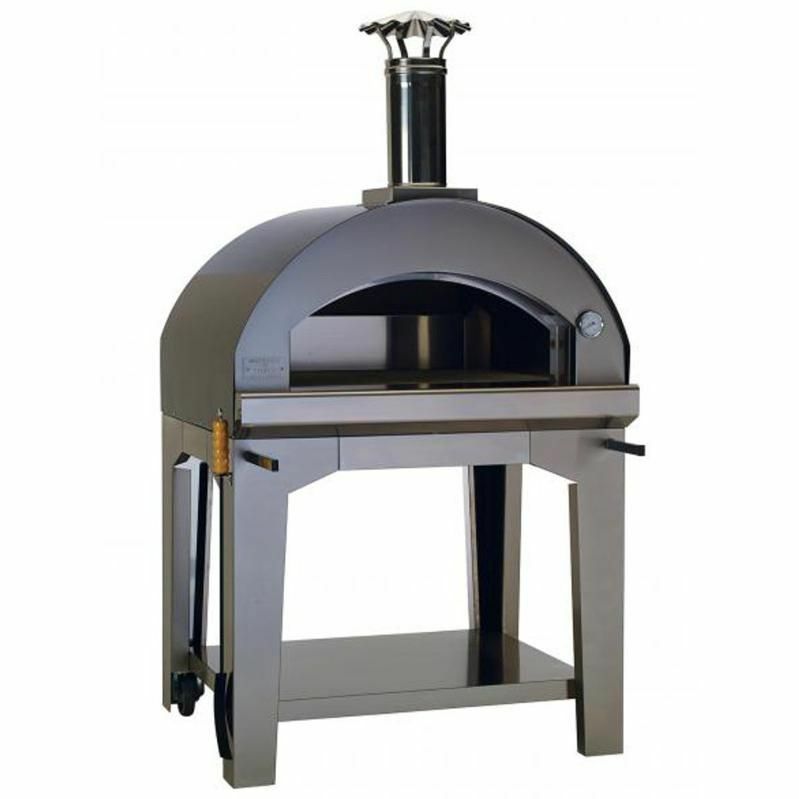 This Bull Pizza Oven comes on cart with a lower shelf for added storage, wheels for easy mobility, and fire poker for stoking the fire and moving logs around.